By 1900, Prospect Hill has fallen on hard times. 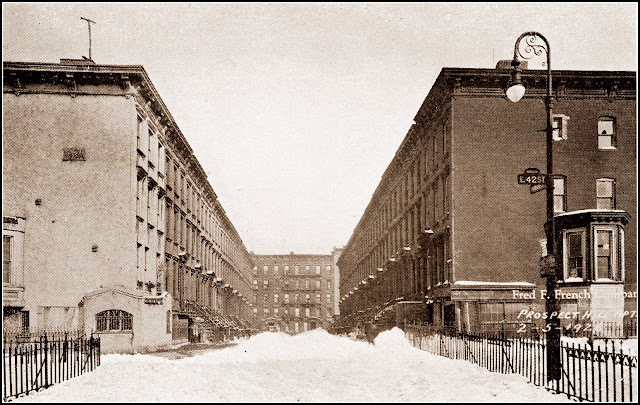 The smelly factories along the East River and the sooty 2nd Ave El to the west have reduced the once middle-class neighborhood into a motley mix of tenements and boarding houses. Leonard Gans, a real estate broker, sees potential in the area ‒ cheap land but a few blocks away from the booming Grand Central Station business district ‒ and convinces Fred French to build there. Gans is hired as chief assembler of the property. Speed and subterfuge are of the essence when buying contiguous properties, and Gans's team manages to secure much of the parcel before word gets out. When it does, rumors sweep the hill ‒ oil has been discovered there, various Vanderbilts and Rockefellers are the secret buyers, the New York and New Haven Railroads are planning a rail station, and so on. In the end, Gans assembles the five-acre parcel in a record 35 days, acquiring 96 buildings for $7,500,000. 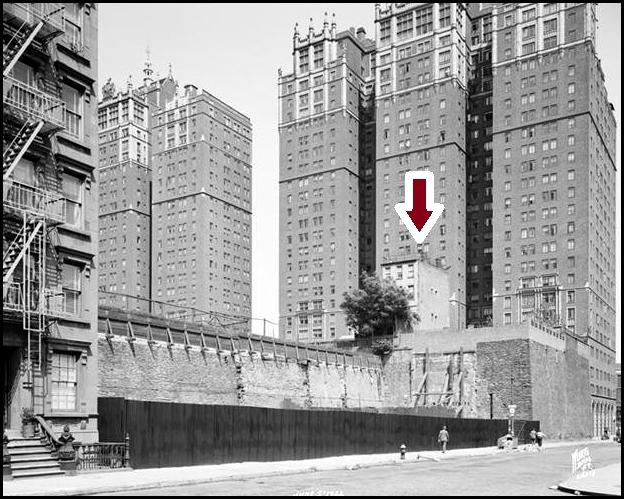 There are some holdouts: three rowhouses on 43rd Street, and one on 41st Street, which still stand today, landmarked as part of the Tudor City Historic District. And then there is 8 Prospect Place, a dilapidated, four-story relic at the south end of the street. 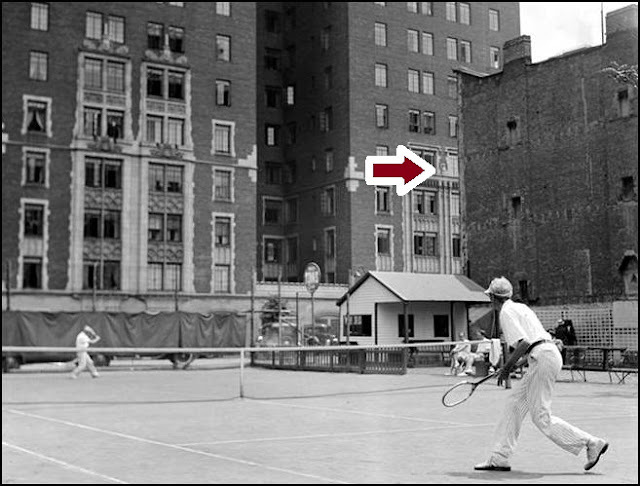 Its owner buys the property in 1925 for $27,000, then steadfastly refuses Gans's offers that start at $50,000 and escalate to $120,000. Finally, the French Company acquires it in 1945, and the entire lot, united at last, is opened as Tudor Gardens (2 Tudor City Place) in 1956.
for over 25 years. View looking east from 40th St. and Second Ave. The good news for locals is that the vacant lot houses tennis courts in the 1930s and 1940s, a much-publicized Tudor City amenity. View looks east toward No. 5, Windsor Tower.